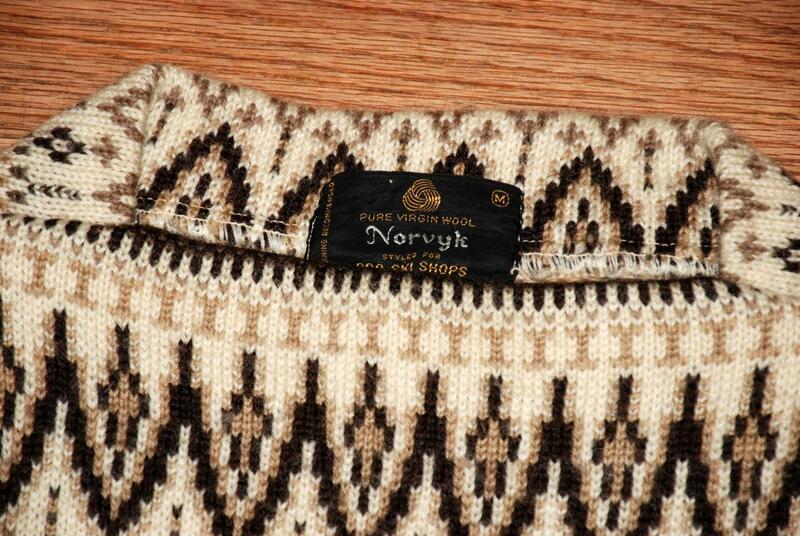 Norvyk 100% Wool Sweater by Renoir Corp for Pro Ski Shops Canada size M Vintage Browns and off white Pull over. 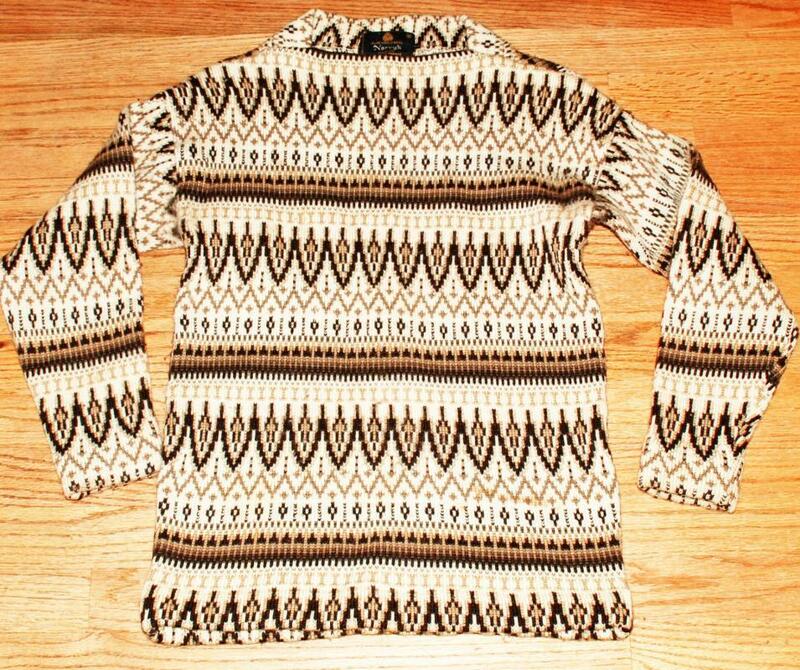 Norvyk 100% Wool Sweater by Renoir Corp for Pro Ski Shops Canada size M Vintage Browns and off white Pull over. . 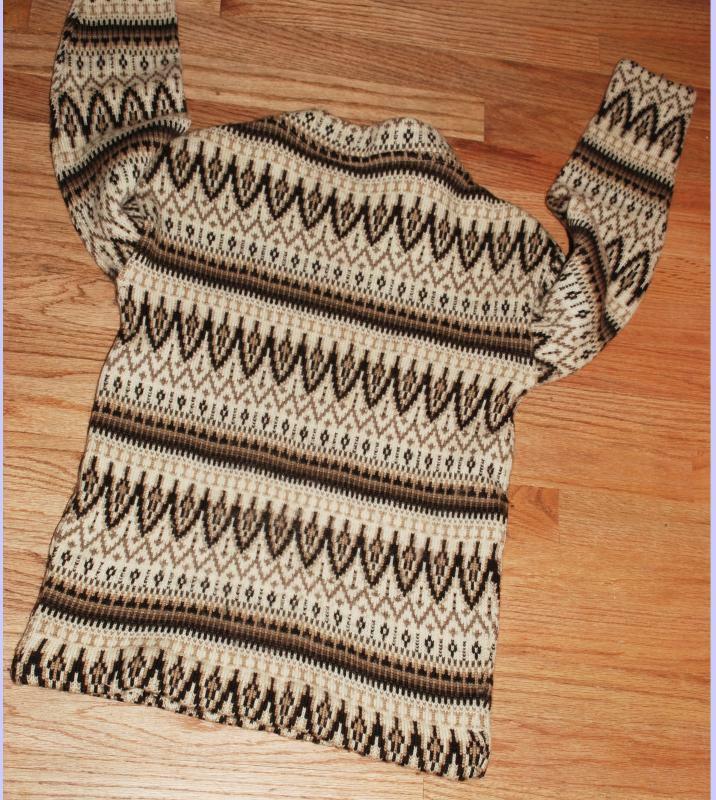 It is excellent condition for a preowned sweater. The weave is dense but not that thick. However because ithe weave is so tight it will keep you super warm. 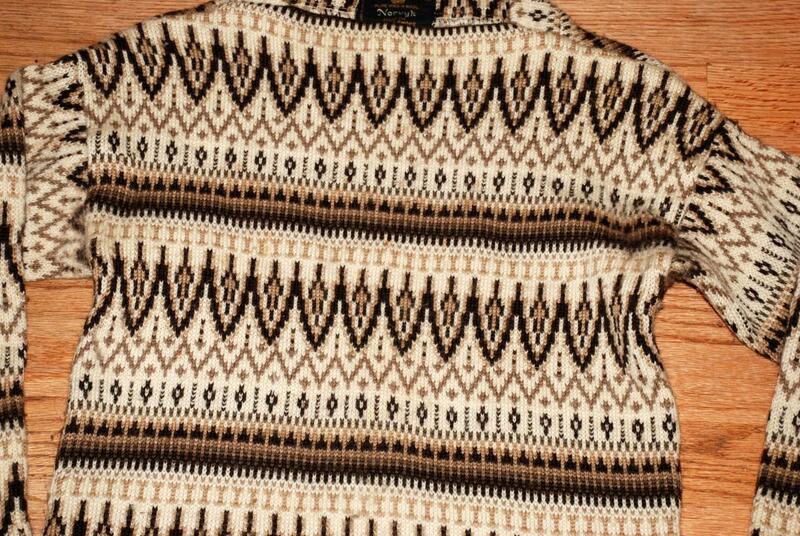 The design is a lovely retro Scandinavian style.